The Women’s Bar Foundation is tickled to present hot-list headliner, Kelly MacFarland! Join us in side-splitting support of your sisters and rip it up to ensure justice for all. It’s all in the timing…so don’t delay, sponsor today! 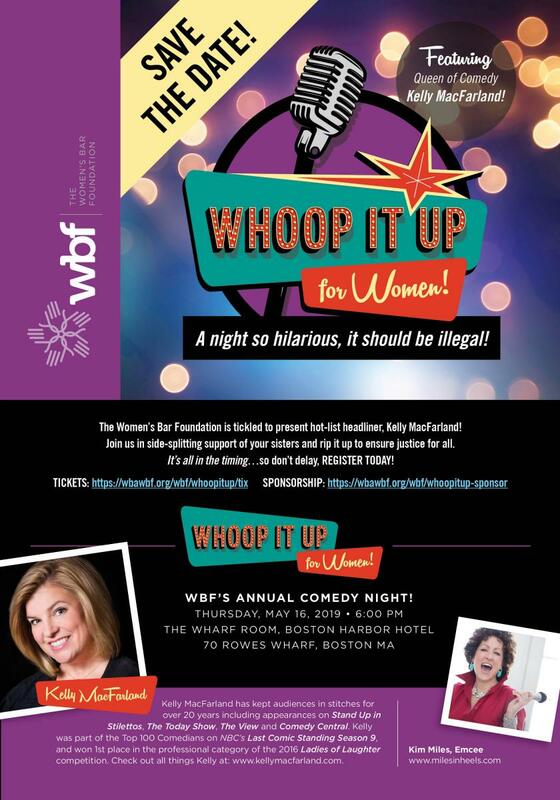 Click here to learn more about being a sponsor of the 2019 WBF Whoop It Up for Women Comedy Night Event!